The man with the most Brier titles in history has been named the greatest Canadian third of all time. Randy Ferbey won the national championship a record six times over his long, illustrious career with all six coming while throwing third stones. Ferbey’s last four – and most famous – title runs came in the early 2000s when he called the game as a skip, but still threw vice rocks. This is why TSN – a panel comprised of 31 curling personalities including broadcasters, reporters and elite-level curlers voted – has decided to list Ferbey as a third on this ballot, and furthermore, list David Nedohin (Ferbey’s fourth during those years) as a skip. The 59-year-old earned 16 first-place votes for total score of 170, 70 points better than John Morris who finished in second place with nine-first place votes. Rick Lang and Mark Nichols tied for third with 56 points apiece (Lang gets the edge with three first-place votes to Nichols’ two) while Arnold Richardson of the famous Richardsons took the fifth spot with 20 points. Panel members cast their votes using a weighted point system. Eight points were awarded for a first-place vote, four points for a second-place vote, two points for a third-place vote and finally one point for a fourth-place vote. The "Years" column is the range of seasons from their first gold medal (in this position) at an Olympics/Worlds/Brier to their last. If they're still active, the second year will be 2019. 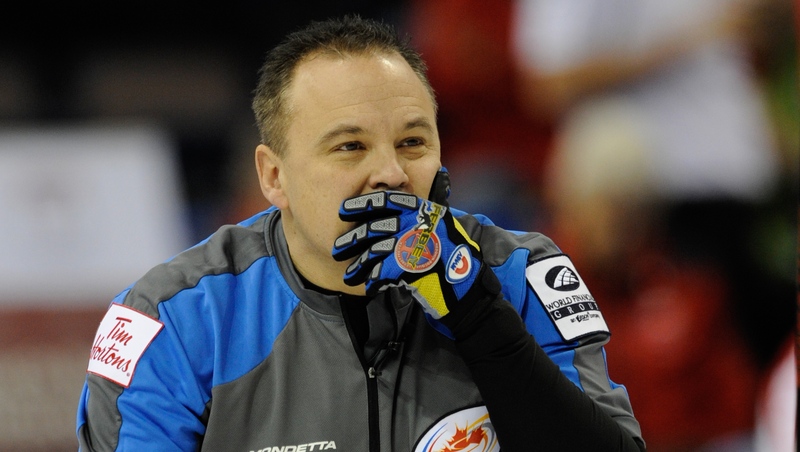 In eight career Brier appearances, Randy Ferbey has six gold medals and one silver. This terrific winning percentage is likely one of the main reasons why Ferbey has been voted as one of the best Canadian thirds of all time. As a regular shot caller, Ferbey was considered a skip for most of his career despite throwing vice stones on both of his Brier-winning rinks. For this reason, TSN decided to consider Ferbey as a third on the Greatest Canadian Curlers ballot. Ferbey began his pro career playing for Hall of Fame skip Pat Ryan and the Ryan Express in the late 1980s. They won back-to-back Brier titles in 1988 and 1989 and one world championship with the latter but would not get back to the Canadian championship as foursome. In fact, Ferbey missed out on the Brier all together through the next decade until he formed what would be known as the famous Ferbey Four. Ferbey, David Nedohin, who threw skip stones as the fourth, second Scott Pfeifer and lead Marcel Rocque became one of the first competitive teams to use the altered lineup system and it’s safe to say it worked for them. With Nedohin being arguably the top shooter in the game at the time and Ferbey’s aggressive offensive mentality, the Edmonton rink was nearly unbeatable in the early 2000s winning Briers in 2001, 2002, 2003 and 2005 with world titles in three of those years as well. No team in history has captured three consecutive Briers and Ferbey could have made it five straight if not for a disastrous 10th end of the 2004 final again Mark Dacey. The feat was even more impressive when you consider there was no Team Canada at the time, meaning Ferbey and company were forced to battle through Alberta playdowns, maybe the toughest province to get out of in the country, just to qualify for nationals every year. 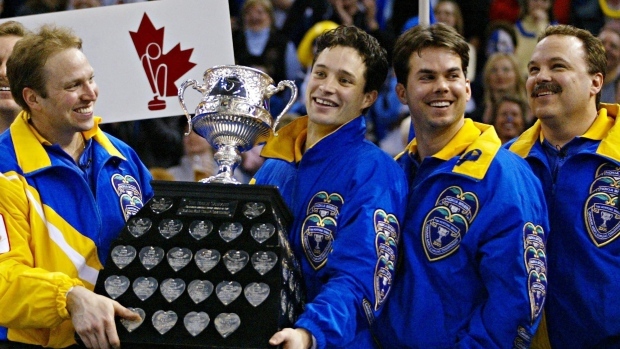 With his last world championship victory in 2005, Ferbey joined the likes of Ernie, Arnold and Sam Richardson as the only curlers with four world titles. Ferbey never appeared in another Canadian championship after his final Brier victory in 2005 in his hometown of Edmonton. Ferbey retired following the 2011-12 campaign and was inducted alongside his Ferbey Four teammates into the Alberta Sports Hall of Fame in January 2019. Ferbey is also a member of the Curling Canada Hall of Fame and World Curling Hall of Fame. 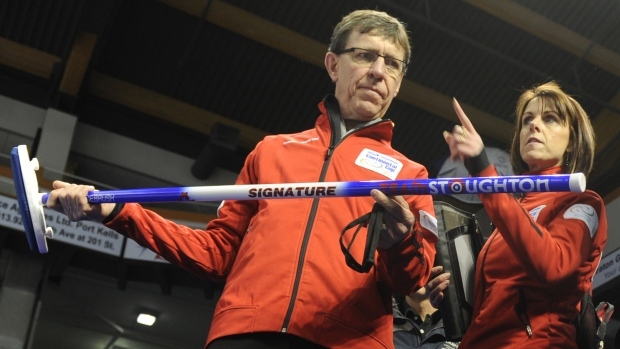 John Morris has won everything there is to win in curling. The Ottawa native nicknamed "Johnny Mo" skipped his Ontario-based rink to two world junior gold medals in the late 1990s. He didn’t take long to find success in the pros either, qualifying for the 2002 Brier final where he fell to the great Randy Ferbey. However, after a move to Alberta that brought three straight defeats in provincial playdowns and a tough loss in the semi-final of the 2005 Olympic trials, Morris made the tough decision to relinquish skip duties and join Kevin Martin alongside teammate Marc Kennedy. The new role worked perfectly as Morris quickly became one of the best throwers in the game with the pressures of skip vanquished. Morris captured his first Brier in 2008 all while suffering through a broken finger on his right hand that forced him to sport a brace while sweeping. Team Martin went a perfect 11-0 that week in Winnipeg (the city where he was born) and Morris was named MVP after throwing 90 per cent in the final. They would go to win gold at the world championships that year before defending their Canadian championship in 2009. Of course, Morris is best-known for being an integral part of the rink that captured the gold medal at the 2010 Olympics in Vancouver. 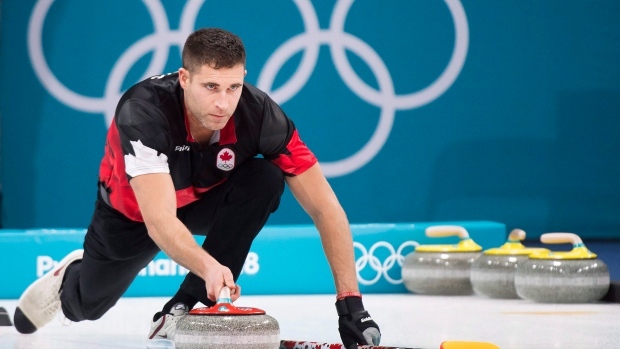 Then in 2018, Morris become the first man to win two gold Olympic gold medals in curling when he and Kaitlyn Lawes stood atop the podium in PyeongChang, South Korea, after outlasting the field in the inaugural mixed doubles competition. Morris left Martin’s rink in 2013 and teamed up with Jim Cotter in British Columbia. The pair found instant chemistry, but weren’t ever to win the big game together as they lost in both the Olympic trials and Brier final in their lone season together. The Canmore resident returned to nationals in 2015, this time skipping the first ever Team Canada rink after Kevin Koe left in the off-season for other opportunities. Much like his first shift to vice way back in 2006, Morris and company made the bold decision to switch positions mid-week following a trying 2-3 start. Pat Simmons took over as skip while Morris played third. The move worked well to say the very least. The new crew went 5-1 to close out the round robin before winning three razor tight playoff games, capping it off with a draw to button to edge Northern Ontario’s Brad Jacobs in the gold medal game. For these reasons, Morris has earned the right to be named the second greatest male third in Canadian history. 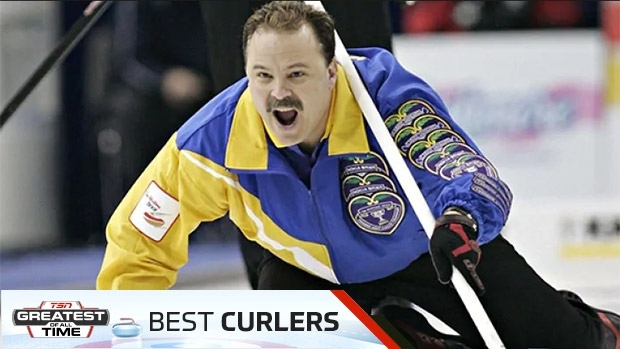 Rick Lang has always been considered as one of the greatest curlers in Northern Ontario history and now can you officially mark him down as one of the best in Canada. Lang won his first Brier in 1975 playing for Bill Tetley before joining Al "The Iceman" Hackner for nine seasons. Following back-to-back heartbreaks in the ’80 and ’81 Brier finals, Team Hackner finally got over the hump in 1982 and again in 1985. Of course, the ’85 Brier title will always be remembered for Hackner’s remarkable thin double takeout in the 10th to send the game to an extra end where they would steal a point for the win. Lang won world titles in ’82 and ’85 as well. Known as one of the friendliest curlers in the game, Lang won sportsmanship awards at the 1982 worlds as well as the 1995 Brier. The Thunder Bay, Ont., native was inducted into the Canadian Curling Hall of Fame in 1992. Mark Nichols has played some of the best curling of his career when the lights were the brightest. In the 2006 Olympic final in Turin, Italy, Nichols shot a scorching 97 per cent to help Brad Gushue and company propel past the Finns as Canada captured their first gold medal in men’s Olympic curling history. The game was highlighted by Nichols’ incredible double raise takeout in the sixth end, a shot that led to a score of six for the Canadians. 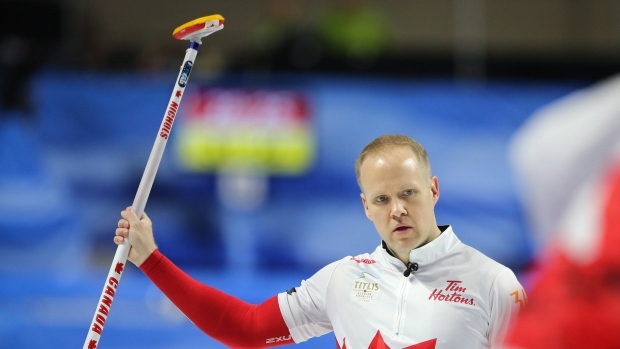 After three heartbreaking Brier final losses, Nichols won his first national title in his hometown of St. John’s in 2017, shooting 94 per cent in the gold medal game against Kevin Koe. A year later, he shot 91 per cent in the championship tilt against Brendan Bottcher, helping Newfoundland and Labrador defend their reign as the best in Canada. "When he’s playing that way, we don’t lose very much," Gushue told Curling Canada following their Olympic win in 2006. Nichols also has one world championship and 12 Grand Slam titles to his name. Who is your pick for the greatest Canadian male third?